Opis: Another huge explosion has lit up the universe, and astronomers are studying it as best they can before the light fades away. Two weeks ago, the BATSE instrument on the orbiting NASA Great Observatory Compton detected unusually bright flashes of gamma-rays from a point deep in the southern sky. 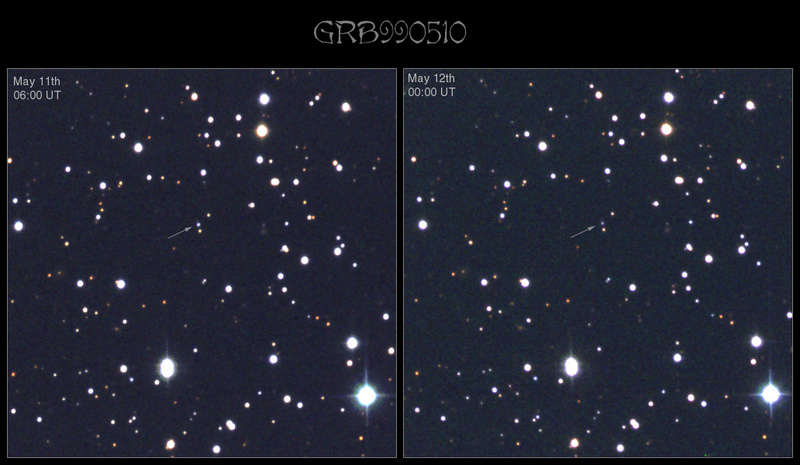 This gamma-ray burst was also recorded by the orbiting Beppo-SAX satellite, which downlinked an accurate position followed by the world's largest optical telescopes. 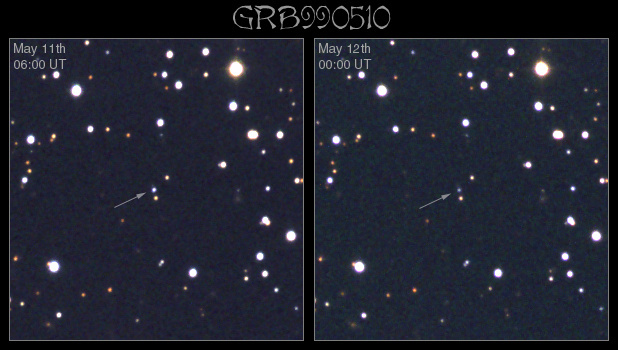 The subsequent fading optical transient, pictured above, is so far out in the universe its light is measured to be redshifted by factor of at least 1.6. The type of powerful explosion that caused this gamma-ray burst is not only still unknown, but found to be fading in an unusual way.